I have flown RC model aircraft for a hobby most of my life. When multi-rotor RC aircraft first appeared about 5 years ago, they were in their early development and soon after many advancements were made on many fronts. Within two years I built my first Tricopter and learned to fly it, only breaking a propeller in a hard landing until I was able to adjust the self leveling trim for a more stable flight control. I still have this and fly it for fun whenever I can. I have built and flown four multi-rotors from scratch and have the skills to repair them. I produced Wedding Videos for almost 10 years before I retired. Now at age 72, I have married my RC model hobby with my 10 years in Wedding Videos to give my customers Professional Aerial Video and Photos from a new perspective. A perspective only available with hiring an expensive Pilot and his airplane for hire or a helicopter and it's pilot at an hourly rate that would make you cringe! Now, through me you can hire me many times to get the same job done without breaking the bank! Please compare my rates to others before you hire. I guarantee my work to your satisfaction! 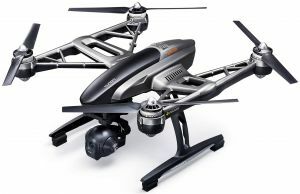 The Typhoon Q500 4K quadcopter carries a CGO3 4K camera that can be mounted on the drone or taken off and attached to a "steady grip" that stabilizes the camera for use on the ground. It can be flown in light winds 10-12 mph. 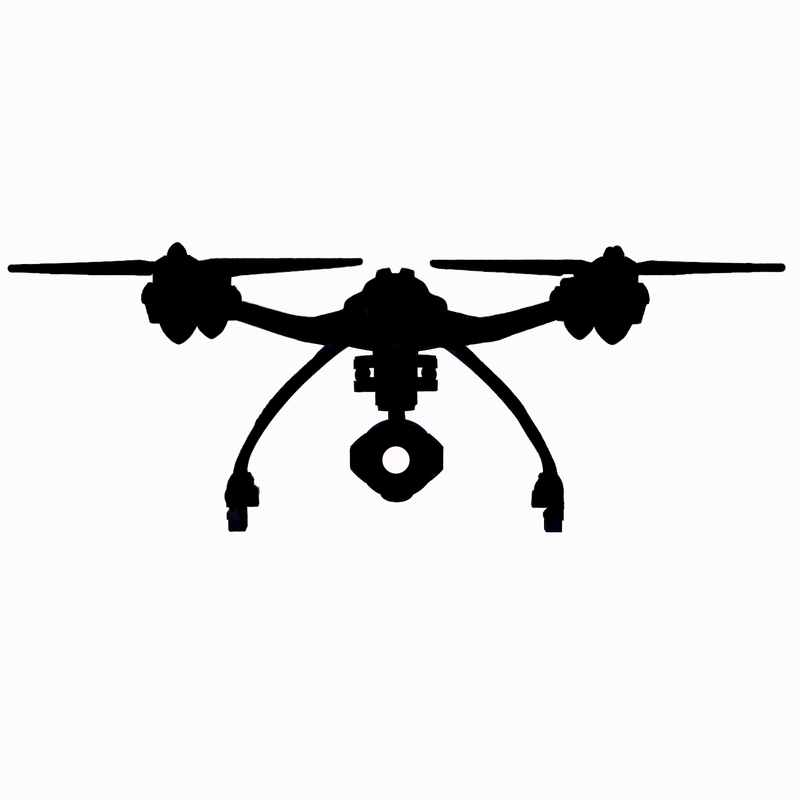 This comes in handy for real estate jobs, weddings, and other jobs that require video or photos on the ground to support the aerial work. The Typhoon can stay in one perfectly steady position at any height, 17-20 minutes while I concentrate on my acquiring the video or photos from my position high up in the air. That leaves me a safety margin of battery capacity of 3-5 minutes to return to home and land. The camera can capture in different formats and resolutions. I use either 1080p at 60 fps or 4K at 30 fps. I also have 1080p at 120 fps. Slow motion video! Great for capturing extreme sports! We are only limited by our imagination! This Drone Is Quiet! Even near the ground you can carry on a conversation with no problem and It will not draw attention to itself from your neighbors because of the quiet motors and props. It has large efficient motors and props. Because of the efficiency of the larger props, the motors can spin slower than most other drones, and produce little noise! I'm a retired Glassblowing artist and worked at Fairs most of my life. I also produced Wedding Videos on DVD for nearly 10 years. I love being behind a camera capturing images from the best vantage point again. In the air above! I have flown RC aircraft for fifty of the 72 years of my life so far. Five years ago when I first found out about multi-rotor RC aircraft on YouTube, I knew I wanted to build one. But the parts were still expensive and I watched and waited to see what happen. Three years ago on YouTube I found "Flite Test", a channel devoted to help people new to the hobby of RC models. They were making cheap to build RC models out of "Dollar Tree" foam board airplanes! Soon they had a video making a Tricopter out of cheap hobby supplies. New, cheap flight controllers had made multi-rotor RC aircraft cheap and easy to fly. I soon built and learn to fly it without breaking anything but a couple of propellers. I still have it! I also built a Quadcopter and put many hours on the two of them. This year I saved and researched commercial quadcopter with camera built into them and found one I liked. It's the YUNEEC Typhoon Q500 with a CGO3-4K camera. This "Drone" and myself, together are for hire!